Joseph Primavera was born in Bologna, Italy and came to Seattle in 1899 where he owned and operated a saloon. Ten years prior, Victor’s mother, Martina had left Italy, to come to Seattle to work in her aunt’s boarding house. Joseph and Martina met, fell in love and married in 1904. In 1912, when Martina inherited 100 acres in Bayview, she and Joseph packed up 3-year-old Victor and moved to Whidbey Island. When Victor turned six, he started school. Victor was petrified at the idea of attending his first day at the Bayview School because he had spoken only Italian his whole life. When Victor gathered up the courage to enter school that precipitous morning, he was surprised at the number of kids in his class who did not have English as a primary language. His class was a melting pot of broken English with Norwegian, German, Swedish and Italian kids. The teachers were neither distracted nor deterred, and focused on the business of teaching the basics of English, reading, writing and arithmetic. 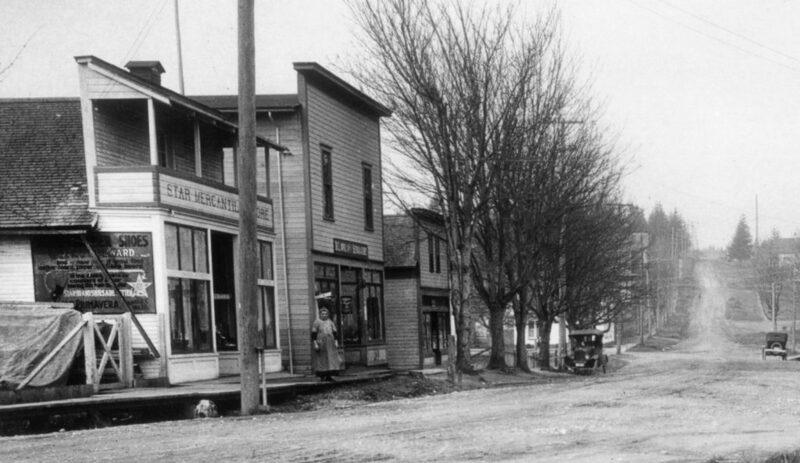 Joseph knew he was not a logger, or a fisherman, or even a farmer – so he opened up a shoe repair shop on Second Street and Anthes in 1919. In 1922, Jospeh purchased the Boston Bakery on First Street where he opened his shoe store and shoe repair business, the Star Shoe Store. Star was a popular brand of shoes known for quality. As time went on, Joseph began expanding. He added clothing and then groceries. His business name was changed to the Star Mercantile Store. Eventually, in 1929, Joseph built a new, two story, brick-faced structure next store. 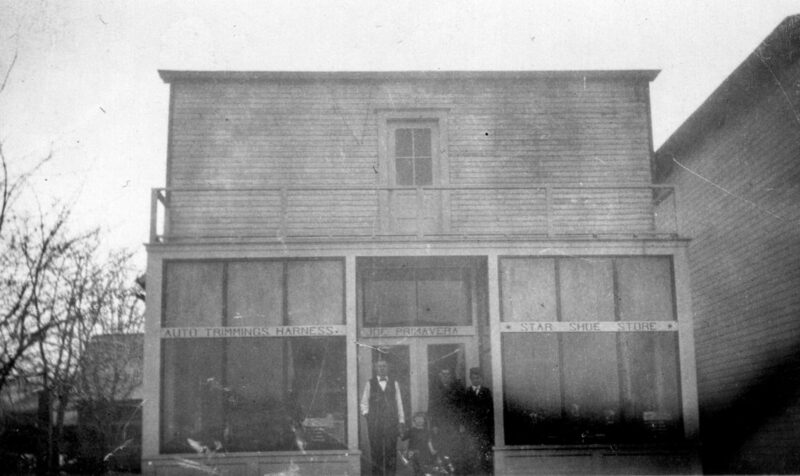 The new building was christened the Star Store and included nine hotel rooms on the second floor. In 1933, the original Star Store building was renovates and a brick facade added. 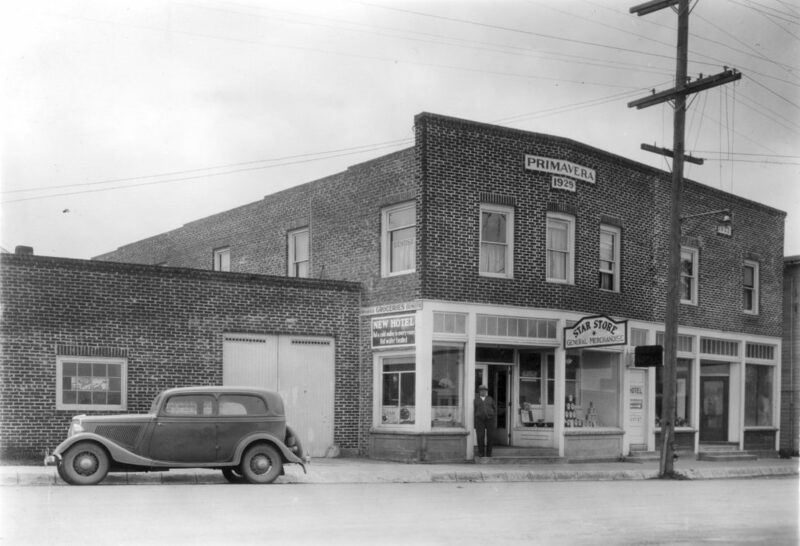 As Langley grew, a bakery owned by the Tiemeyers opened next door. By 1934, Victor was spending too much time at the bakery, and not enough time at the Star Store. This condition was repaired in 1938 when Victor married Anna Peters; she was 21 years old and he was 29. Sadly, Joseph died one year later, and Martina the following year. Victor and Ann lived over the store before purchasing a seven-acre ranch (with barn and farmhouse), off Saratoga. They had four children (Joanne, Janet, Jeanine and Joseph). Victor fondly recalls when Bayview farmers banded together to establish the Washington Egg & Poultry Association in the early 1920s for the purpose of purchasing feed at wholesale prices, and shipping in bulk to east coast markets. It allowed them to ship eggs to New York for 50 cents per dozen, cleaned and graded. Victor states: “We had a monopoly for over two years (1924-25) until Wisconsin ‘got into the act’ and undercut our prices. During that period there were chicken farmers all over the place.” Victor died in Langley at 76 years in 1985, and Ann followed him in 2014. 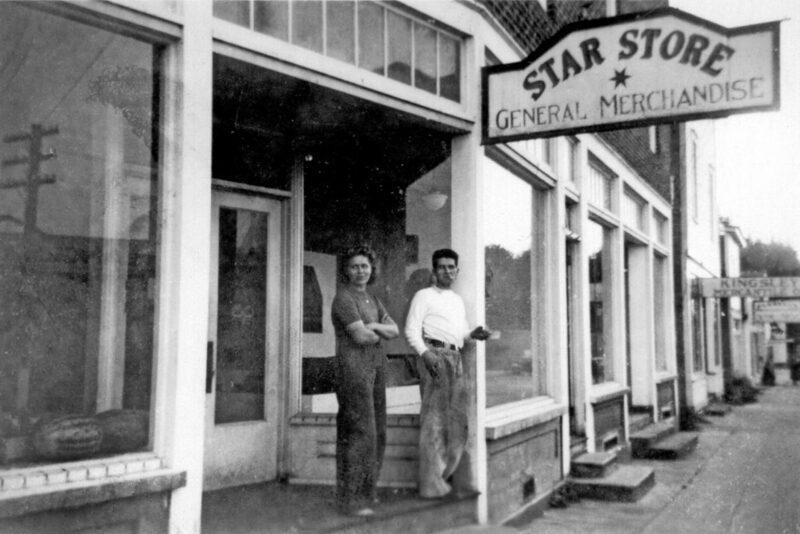 The Star Store was sold to Dan Elliott in 1977, who then sold it to Gene and Tamar Felton in 1984. The Star Store continues to be a Langley landmark. 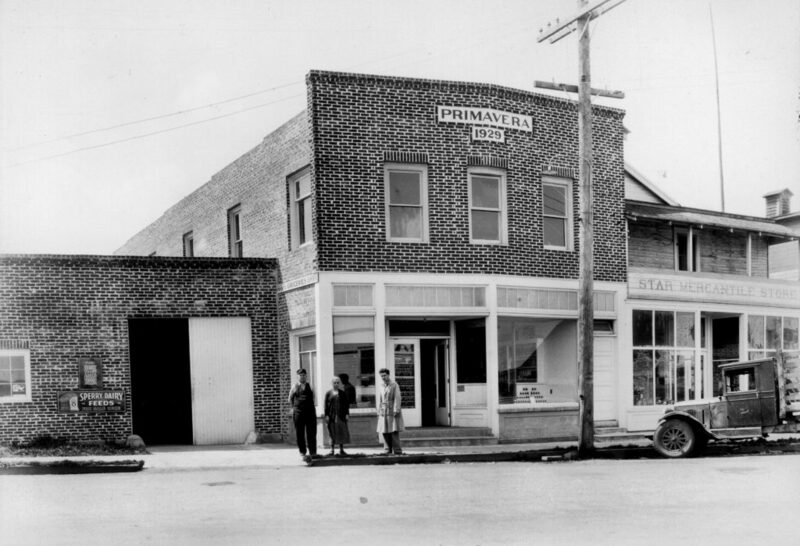 On the upper portion of the 1929 building is Prima Bistro, a popular Langley restaurant.